After staring into a wineglass for several days, trying to figure out if the fermented grape juice in the glass smells like cherries or cranberries and trying to decide if its qualities are indeed burgundian, we though it would be healthy for us to point our eyes and noses skyward and try to connect with cosmos again. We decided to pay a visit to Stonehenge Aotearoa, which is not a replica of Stonehenge in the UK but rather a fully functional whatever-Stonehenge-is specifically designed for its exact location. As with so many other experiences on our trip, when the stars align, there’s nothing more cosmically balanced. When not, such as on this overcast day at Stonehenge, we found ourselves mystified. As far as recommending this attraction to other travelers, “optional if you happen to be in the area” feels like an appropriate rating. 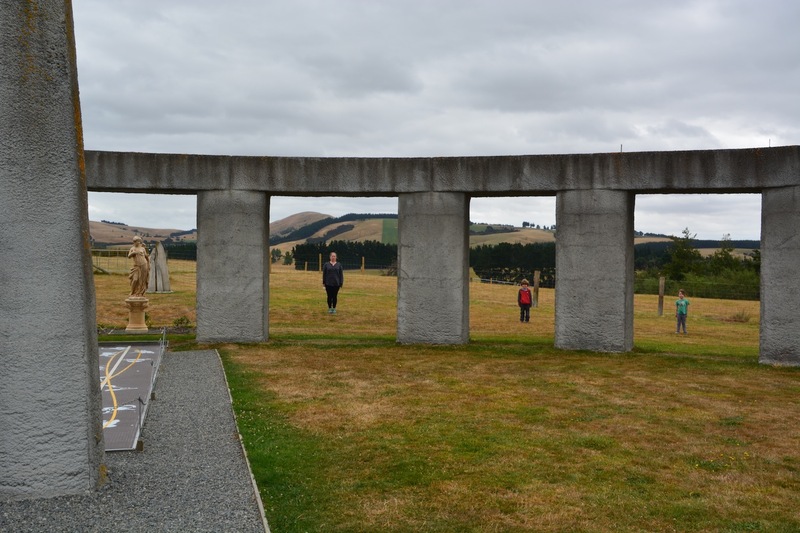 We continued on to the Waitomo Caves, located in King Country a few hours south of Auckland. There are over 300 mapped caves in the area and it has been a popular tourist destination for over 100 years. The main attraction is the Glowworm Cave which takes you through narrow tunnels with beautiful limestone formations to “the Cathedral”, a large open cavern with great acoustics, and then on to a boat ride on the river that flows through the cave (the name Waitomo roughly translates to “Water flowing through a hole”). The boat quietly glides through the pitch black cave as one admires the thousands of glowworms covering the ceiling of the cave forming a Milky Way of luminescent larvae. Everybody is told to be quite during the boat ride, but luckily for visitors with kids it is too dark to see your fellow spelunkers glaring at you. The Aranui cave a couple of kilometers away is a smaller cave without the glowworms, and hence with much fewer tourists. 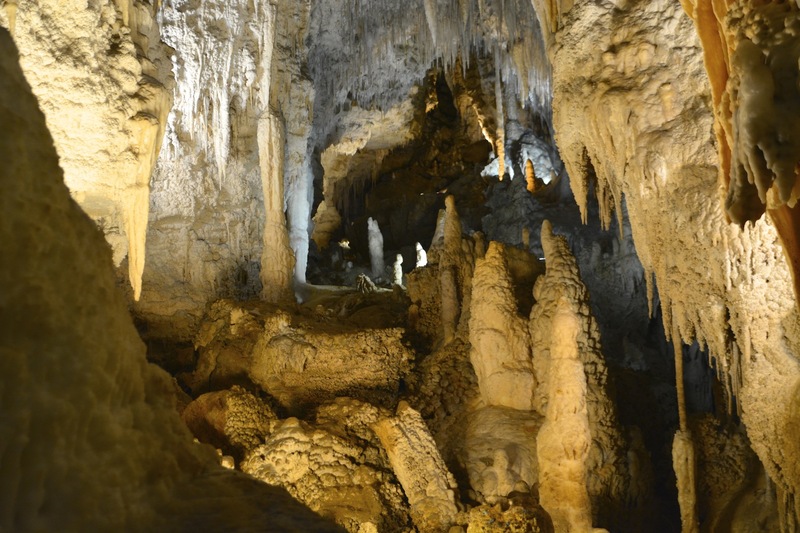 It offers a more relaxed walk through tunnels with amazing stalactites and stalagmites. The kids can run a little bit more freely here but should preferably be prevented from breaking the rock formations as these needle-thin limestone sculptures grow at a rate of about one cubic centimeter in 100 years. Raglan was our next stop, and something that I had been looking forward to for a long time. It is one of those epic surf spots that, along with Jeffrey’s Bay and Uluwatu, is on most surfers must-visit list. It was made famous in the 1963 movie Endless Summer where Robert August and Mike Hynson rode the endless lefts of Manu Bay. 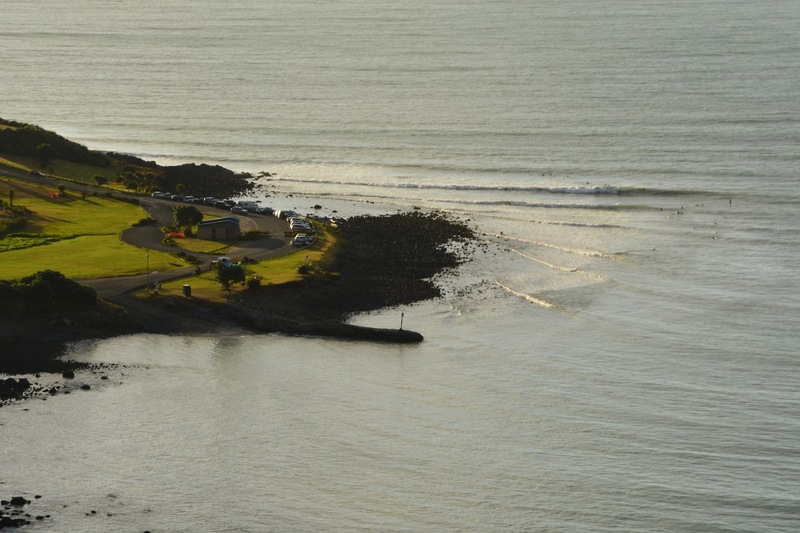 We spent 4 days in Raglan after having monitored the surf forecast for the area for the previous two weeks, trying to time our visit with the most favorable surf conditions. Alas, we only got a vague taste of what this place has to offer when all the elements come together. The three world famous points Manu Bay, Whale Bay, and Indicator never really fired on all cylinders during our visit. The town is nice enough with a relaxed country side/hippie vibe. It is worth a mention that we stayed at an eco resort in a small cabin made from all locally sourced materials overlooking the ocean. Though this sounds nice, we were surrounded by tee-pees and converted railroad cars that housed other lingerers and surfers. Located only 3 hours from Auckland, it is no wonder Raglan is firmly on the back-packer circuit. We had a few more days before our flight back to Los Angeles. Fondly remembering our time on Bali, we decided to visit Goat Island Natural Reserve a couple of hours north of Auckland, renown for its resurgent fish population. We booked a rustic 1960’s Bach (cabin) overlooking the Pacific with a private cove that was accessible only at low tide. 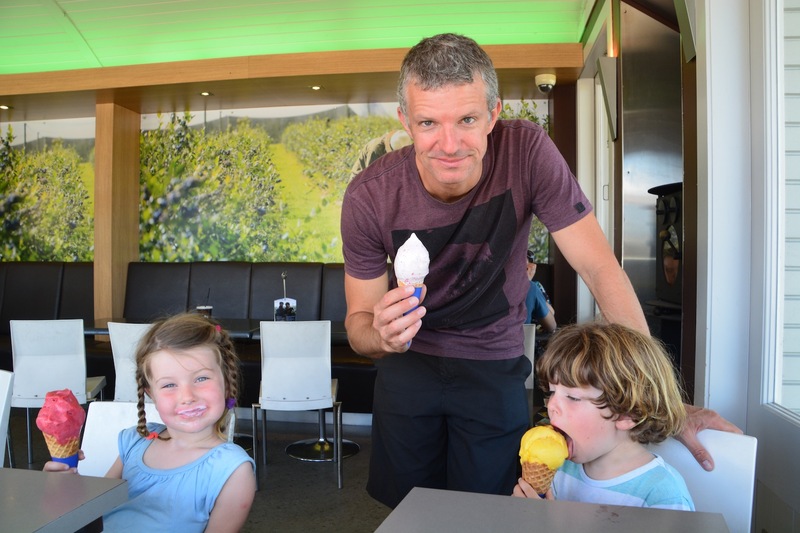 We spent our last few days investigating the caves and blowholes in our backyard, snorkeling, and eating New Zealand’s freshest ice cream, before boarding our flight back to what many would call reality. What is so cool about our trip is that for 6 months and evermore we made it our reality, against convention, warnings about our careers, and quiescence. It was one great pause that reset the foundation of our family and germinated our designs for the future. An abandoned haunted house on the hill. Surfable waves or not, the landscape around Raglan is absolutely beautiful.